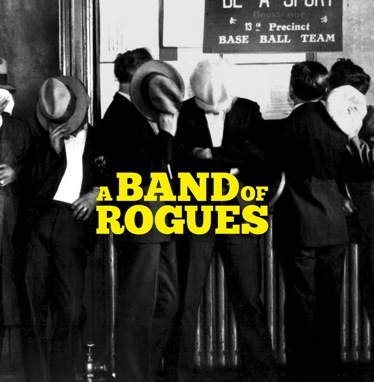 Home / Uncategorized / Band of Rogues Rocks! That’s not the moonshine talking. You really do know this new band called Band of Rogues. “Our sound is a bit eclectic so that we bring a few generations of Irish music,” O’Brien says. “Prior to this, we were doing the AOH dances and what-not. With the name change and new players coming in, we now have this crossover music that is a bit edgier, more contemporary. We are hoping to get a new Irish audience. Not that there’s anything wrong with the ‘No Nay Nevers,’ but we are hoping to attract fans from other bands like our friends in Barleyjuice and Jameson’s Revenge. O’Brien describes the collection of songs as a working man’s album with a lot of the tough times going on reflective in some of the songs. “Irish Goodbye” is a beautiful, sad ballad that’s perfect for crying in your beer. Despite the risks associated with changing the band’s identity, no one is shedding any tears over the way things turn out. “The AOH crowd from our old days has come around,” O’Brien says. “When you change your sound, there could be an adverse reaction. I didn’t think the Jersey AOH crowd would support us when we jumped into the NY club scene. We’ve seen them in the crowd and now they are bringing in their kids. We are crossing those boundaries and it feels great.